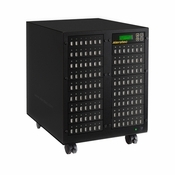 Product Dimensions: 20" x 18 1/2" x 25"
The USB flash drive has become one of the most widely used tools for individuals to share data and multimedia files because of size, convenience, and universal compatibility. 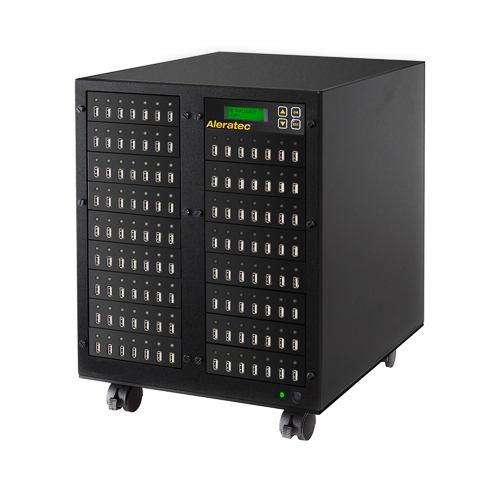 There is also a growing trend to use flash drives to distribute product information to customers, sales presentations, photos, files of all types to groups of users. 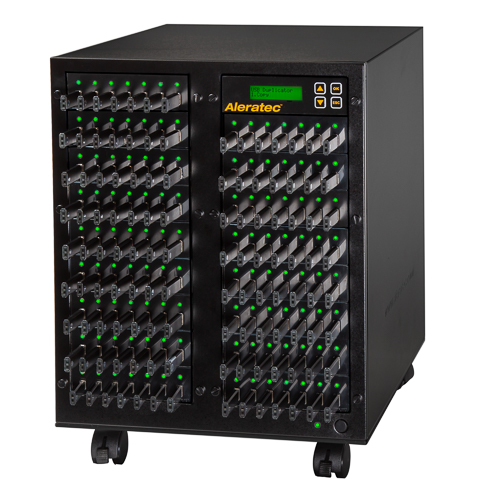 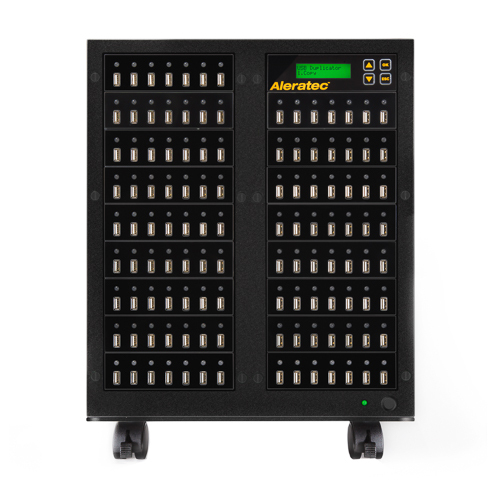 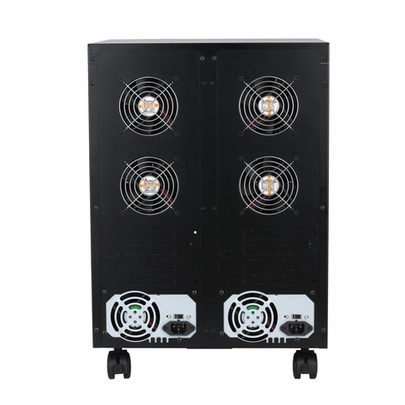 The Aleratec 1:118 USB Copy Tower SA is the fastest, economical way to duplicate the same information to multiple flash drives and its stand alone, no computer or any other equipment is required. 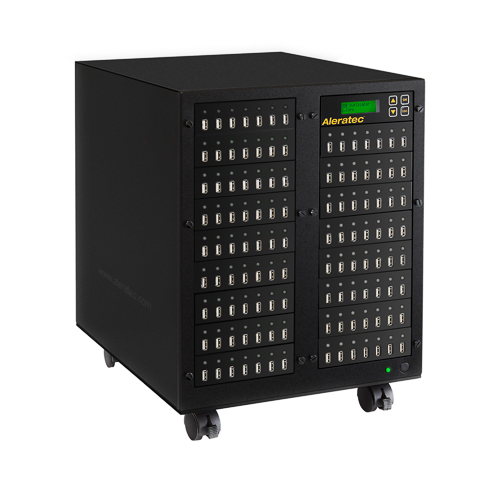 It will copy, compare, or erase up to 118 flash drives and all functions are selectable via an easy to use duplicator controller with a back lighted LCD display. 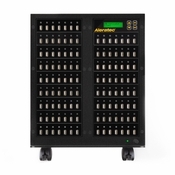 The Aleratec 1:118 USB Copy Tower SA takes the hassle out of trying to copy USB flash drives.